Of this blest man, let this just praise be given. Consistent with biblical usage, Sibbes often refers the term ‘God’ to the Father. He is merciful by nature, inclined to pity anyone in misery (3.28). Our misery is the magnet that draws his mercy (3.42). Despite all his august majesty, he abounds in mercy (2.292). Mercy ‘is his nature; it is himself’ (3.28). As the prophet Micah says (Mic. 7:18), ‘he delighteth in mercy’ (3.35). Indeed, mercy is such a sweet attribute in God that all his other attributes would be a terror to us without it (2.292). It is therefore his great purpose to ‘be glorified in showing mercy’ (3.29-30). Everything he does, in both creation and redemption, is ‘all for the glory of his mercy’ (3.31). This, concludes Sibbes, is ‘the true reality of fatherhood,’ the true doctrine of the Fatherhood of God. Whatever, therefore, we may lawfully expect from an earthly father, ‘we may expect from God our Father, and infinitely more’ (6.451), for he looks on us, his adopted children, with the same ‘eternal sweet tenderness’ as he does on his natural Son (6.461). Yet because God is ‘the God and Father of Christ first,’ he becomes the Father of mercy to us only through him. ‘Christ hath all first, and we have all from him. He is the first Son, and we are [later] sons. He is the first beloved of God, and we are beloved in him.’ Whatever mercy we receive, therefore, we must receive it ‘in Christ, and through Christ, and from Christ’ (3.27). As Mediator between God and us, Christ reveals the mercy of God in a unique way. Because ‘we cannot endure the brightness of the majesty of the Father,’ he chose his dear Son to be our Mediator, and chose us in him to become his sons and daughters. As our Surety-Substitute, who satisfied every demand of his holy justice when he suffered on the cross for our sins, Christ makes God ‘our Father . . . the Father of mercies’ (3.28). This is why the Lord Jesus told his disciples: ‘I ascend unto my Father, and your Father; and to my God, and your God’ (John 20:17). This too is why Christ now calls us his brethren: he is our Elder Brother, and we are brothers and sisters in his Father’s family (6.450). Surely, Sibbes adds with evident satisfaction, he who chose us in Christ in eternity past will glorify us with Christ in eternity future (4.32; 6.453). Let us then realize that a ‘greater glory of mercy . . . shines forth to fallen man in Christ’ than ever shone on Adam in innocence (Glorious Freedom,3 p. 75). To rest in God’s mercy, therefore, is to rest in the gospel of Christ, which brings that mercy to us. ‘When faith considers God pictured out in the gospel, it sees him the Father of Christ, and our Father, and the Father of mercies and God of comforts; faith seeing infinite mercy in an infinite God’ (3.37). This is how we should look on God at all times – in Christ. When our conscience speaks to us of sin, when Satan seeks to disturb our peace, when we are engaged in spiritual conflict, and when we come to die, we must look on him as reconciled to us in Christ. Then, and only then, shall we enjoy peace, for it flows down to us in the same channel as his mercy and grace (3.21). Here is a safe haven into which we may flee under the sense of God’s wrath. So, Sibbes tenderly exhorts us: ‘Despair not, thou drooping soul, whosoever thou art under the guilt of sin; come to the Father of mercies, cast thyself into this sea of mercy.’ To give us double assurance, he adds winsomely: ‘There is mercy for thee if thou wilt come in’ (3.31). When by grace we do gain access, al1 our sins disappear like a spark that falls into the ocean (3.35). Should we waver or doubt the sincerity of the invitation, Sibbes reassures us that God in Christ ‘is more willing to pardon’ than we are ‘to ask mercy’ (3.36). Just as the father in the parable ran and embraced his prodigal son, so God ‘will come and meet you, and kiss you,’ when you fall ‘at the feet of his mercy,’ and cast yourself into ‘the arms of his mercy’ (3.40). Once we are reconciled to him in Christ, he will as soon cease to love his Son as cease to love us’ (6.641). In sum, all God’s saving mercies reach us only through his dear Son Christ, who is ‘the great ordinance of God for our salvation.’ He is the treasury in which God stores up for us all his ‘grace and love and mercy.’ The ministry of the gospel opens that treasury to us (Glorious Freedom, p. 84). The last link in our enjoyment of the mercy of God is the work of the Holy Spirit. He who actually conveys God’s mercy into our hearts is the Spirit of the Father and the Son. In the covenanted purpose of God, his special role is to dispense the mercy the Father has been pleased to bestow and the Son has purchased with his own precious blood. Consequently, all life, truth, grace, peace, joy, holiness and comfort are from him. (Glorious Freedom, pp. 6-26). He who first filled the human nature of Christ without measure now fills his people with all saving and sanctifying grace. Even the glorious gospel will be ineffectual without his ministrations. But ‘having by his death and sufferings reconciled us to his Father and purchased the Spirit for us,’ Christ now gives ‘his Spirit to us.’ As there was at first nothing to hinder the gift of the Spirit to the human nature of Christ, so now there is ‘nothing to hinder the blessed gift of the Spirit’ to us his children. Indeed, ‘Christ does his church more good now that he is in heaven, from where he sends the Spirit, than he could do if he were here below, because though his human nature is confined in heaven, his [divine] person is everywhere. And being “ascended now far above all heavens,” he gives gifts more liberally and plentifully, inasmuch as he fills all things (Eph. 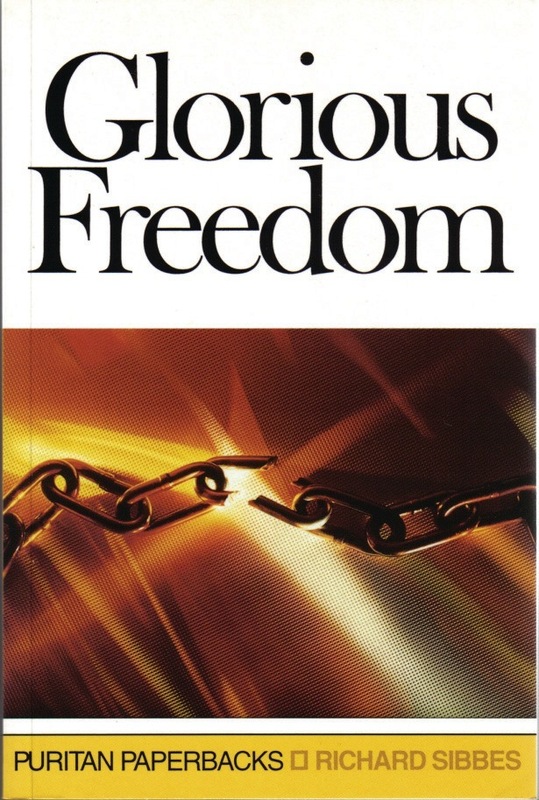 4:10)’ (Glorious Freedom, pp. 11, 13, 14). But when by the Spirit’s regenerating work and the exercise of saving faith we are joined to Jesus, all God’s mercy becomes ours. Our union with Christ as Mediator by the Holy Spirit is therefore ‘the ground of all comfort,’ for by his mediation all the mercy that lies deep in God’s merciful nature flows out of him into us (3.27). While acknowledging both God’s absolute sovereignty in dispensing his mercy and our dependence on his mercy at all times, Sibbes fastens on two particular times when his saints taste that mercy in all its sweetness. The first is when he pardons our sins. He shows himself to be merciful ‘in pardoning sin freely, in pardoning all sin, the punishment and the guilt [i.e. liability to punishment] and all’ (3.30). Nothing tastes sweeter to the poor and needy believer than pardoning mercy. The second is when we find ourselves ‘bruised and broken’ by the Fall. At such times, we are so pre-occupied with our distress that we ‘dare not claim any present interest of mercy.’ Our doubts and fears make us like a smoking flax – grace seems to be almost dead in us. Seeing us in this sad plight, our merciful God gives us some hope of mercy from the promise, and examples of those that have obtained mercy before us. This goads us to ‘hunger and thirst after it.’ In his own good time, God sends us his Spirit, who makes way for himself into our heart, and brings deliverance and relief (The Bruised Reed,4 p. 4). The wonder of mercy is that Christ will never break the bruised reed or quench the smoking flax (Isa. 42:1-3; Matt. 12:18-20). Sibbes naturally extends the saints’ experience of God’s mercy to all the chastisements and corrections they receive at their heavenly Father’s hands. These, he says, are always seasoned with comforts, as Lamentations 3.22-23 leads us to expect. In fact, he concludes, everything that ‘comes from God to his children’ in this present life is ‘dipped in mercy’ (3.30). In true Puritan fashion, Sibbes draws a number of practical lessons from his meditations on God’s mercy. We mention four of them. The first is that while in the past God showed mercy to his chosen [such as Moses, David, Manasseh and Paul, as Sibbes’ contemporary Jeremy Taylor pointed out to encourage his people], we must believe that it is available to us now. Precisely because he is merciful by nature, and because his mercy lives forever as a boundless store of pity and compassion, we should seek to enjoy his mercy, not through mystical visions, but simply by looking by faith on God in Christ. This alone will banish our terrors and bring us real comfort (3.53). Coming to him in this way will enable us to find him ‘a Father in covenant; not only a Friend, but a Father, a gracious Father’ (6.398). Secondly, once we have ‘tasted the sweet mercy’ of God in Christ, we should ‘break forth’ in praise and thanksgiving, as naturally as birds sing in spring (3.22-23). With reverent love, we should glory in his sheer unmerited goodness to us (6.452). Third, we should be merciful to others; for ‘all the sons of this Father . . . are merciful,’ like their Father in heaven (3.40). Fourthly, whatever depths of misery we may find ourselves in, we should follow the example of King David in Psalm 130 and cry to God out of our depths. Realize, Sibbes urges, that ‘his mercy is deeper than our misery’ (3.36). Even though we may lose father and mother, or our nearest and dearest friends, we still have ‘a Father of mercy’ whose mercies, like himself, can never die (3.42). One day, he will in mercy wipe away every tear from our eyes (2.482). Now, we believe, the heavenly-minded Sibbes basks in that mercy in the immediate presence of his God and Saviour. Do we ever pray: ‘O that we were there! O that we were there!’? 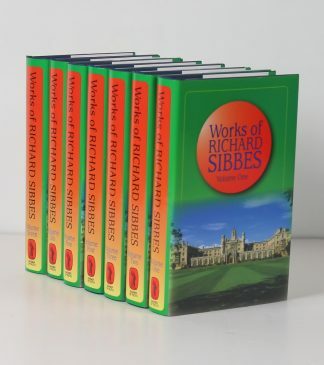 See a brief biography of Sibbes here. The Trust publishes his Works in seven volumes (see Note 2), a facsimile of the 1862-64 Edinburgh edition. References in this article are to volume and page number in this edition. John Brentnall is Editor of Peace and Truth, the magazine of the Sovereign Grace Union, from the 2014:2 edition of which the above is taken with permission. Notes added.